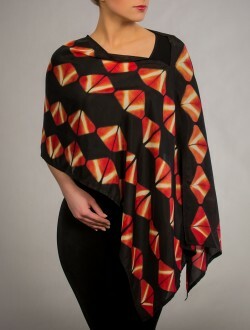 Black, burnt orange and white in a pattern to emulate butterflies. 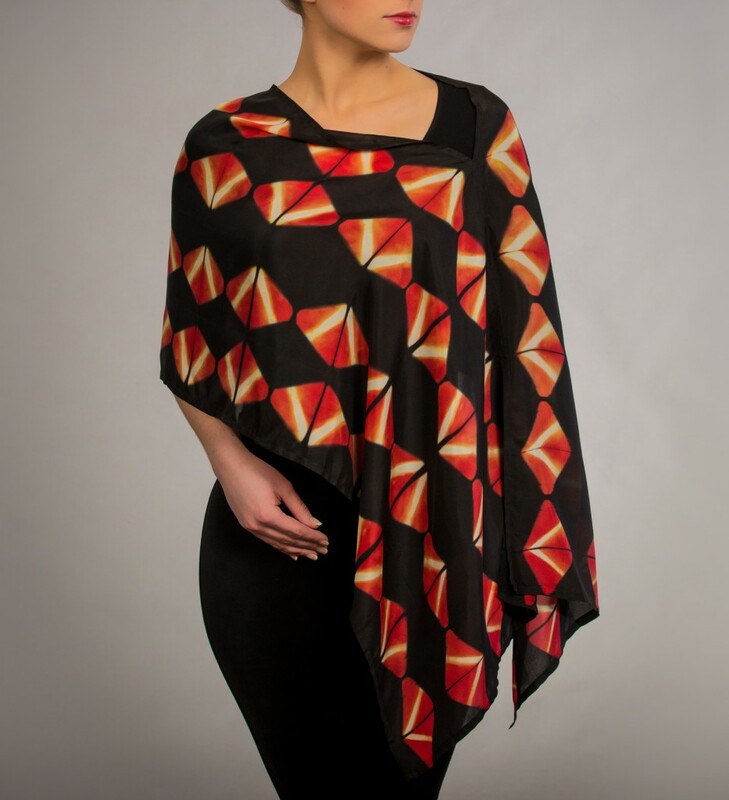 The poncho is sewn along the side and can be worn as a poncho over the shoulders or as a scarf. Dry Clean or hand wash separately. Iron as needed using silk setting.